Through hard work, ingenuity and a little cooperation from nature, scientists on the BASE experiment vastly improved their measurement of a property of protons and antiprotons. Scientists at CERN are celebrating a recent, rare achievement in precision physics: Collaborators on the BASE experiment measured a property of antimatter 350 times as precisely as it had ever been measured before. The BASE experiment looks for undiscovered differences between protons and their antimatter counterparts, antiprotons. The result, published in the journal Nature, uncovered no such difference, but BASE scientists say they are hopeful the leap in the effectiveness of their measurement has potentially brought them closer to a discovery. “According to our understanding of the Standard Model [of particle physics], the Big Bang should have created exactly the same amount of matter and antimatter, but [for the most part] only matter remains,” says BASE Spokesperson Stefan Ulmer. This is strange because when matter and antimatter meet, they annihilate one another. Scientists want to know how matter came to dominate our universe. “One strategy to try to get hints to understand the mechanisms behind this matter-antimatter symmetry is to compare the fundamental properties of matter and antimatter particles with ultra-high precision,” Ulmer says. Scientists on the BASE experiment study a property called the magnetic moment. The magnetic moment is an intrinsic value of particles such as protons and antiprotons that determines how they will orient in a magnetic field, like a compass. Protons and antiprotons should behave exactly the same, other than their charge and direction of orientation; any differences in how they respond to the laws of physics could help explain why our universe is made mostly of matter. This is a challenging measurement to make with a proton. Measuring the magnetic moment of an antiproton is an even bigger task. To prevent antiprotons from coming into contact with matter and annihilating, scientists need to house them in special electromagnetic traps. While antiprotons generally last less than a second, the ones used in this study were placed in a unique reservoir trap in 2015 and used one by one, as needed, for experiments. The trapped antimatter survived for more than 400 days. During the last year, Ulmer and his team worked to improve the precision of the most sophisticated technqiues developed for this measurement in the last decade. They did this by improving thier cooling methods. Antiprotons at temperatures close to absolute zero move less than room-temperature ones, making them easier to measure. Previously, BASE scientists had cooled each individual antiproton before measuring it and moving on to the next. With the improved trap, the antiprotons stayed cool long enough for the scientists to swap an antiproton for a new one as soon as it became too hot. “Developing an instrument stable enough to keep the antiproton close to absolute zero for 4-5 days was the major goal,” says Christian Smorra, the first author of the study. This allowed them to collect data more rapidly than ever before. Combining this instrument with a new technique that measures two particles simultaneously allowed them to break their own record from last year’s measurement by a longshot. “This is very rare in precision physics, where experimental efforts report on factors of greater than 100 magnitude in improvement,” Ulmer says. The results confirm that the two particles behave exactly the same, as the laws of physics would predict. So the mystery of the imbalance between matter and antimatter remains. Ulmer says that the group will continue to improve the precision of their work. He says that, in five to 10 years, they should be able to make a measurement at least twice as precise as this latest one. It could be within this range that they will be able to detect subtle differences between protons and antiprotons. Measuring with high precision, physicists at CERN found a property of antiprotons perfectly mirrored that of protons. There is little wiggle room for disparities between matter and antimatter protons, according to a new study published by the BASE experiment at CERN. Charged matter particles, such as protons and electrons, all have an antimatter counterpart. These antiparticles appear identical in every respect to their matter siblings, but they have an opposite charge and an opposite magnetic property. This recalcitrant parity is a head-scratcher for cosmologists who want to know why matter triumphed over antimatter in the early universe. 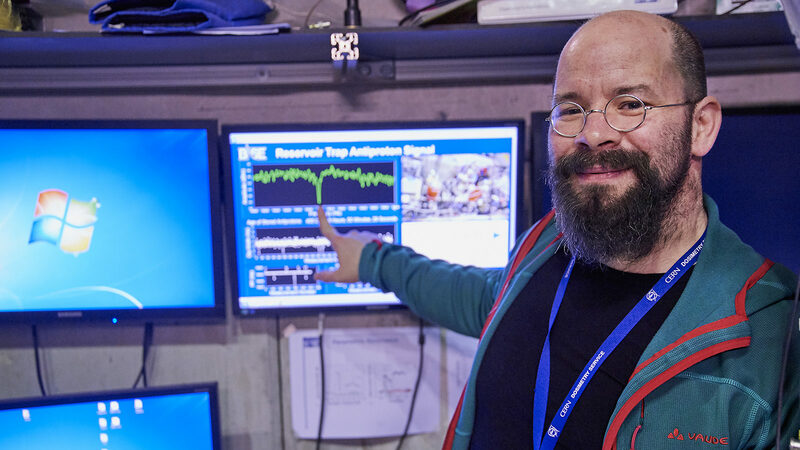 Ulmer and his colleagues working on the BASE experiment at CERN closely scrutinize the properties of antiprotons to look for any miniscule divergences from protons. In a paper published today in the journal Nature Communications, the BASE collaboration at CERN reports the most precise measurement ever made of the magnetic moment of the antiproton. The BASE measurement shows that the magnetic moments of the proton and antiproton are identical, apart from their opposite signs, within the experimental uncertainty of 0.8 parts per million. The result improves the precision of the previous best measurement by the ATRAP collaboration in 2013, also at CERN, by a factor of six. This new measurement shows an almost perfect symmetry between matter and antimatter particles, thus further constricting leeway for incongruencies which might have explained the cosmic asymmetry between matter and antimatter. The measurement was made at the Antimatter Factory at CERN, which generates antiprotons by first crashing normal protons into a target and then focusing and slowing the resulting antimatter particles using the Antiproton Decelerator. Because matter and antimatter annihilate upon contact, the BASE experiment first traps antiprotons in a vacuum using sophisticated electromagnetics and then cools them to about 1 degree Celsius above absolute zero. These electromagnetic reservoirs can store antiparticles for long periods of time; in some cases, over a year. Once in the reservoir, the antiprotons are fed one-by-one into a trap with a superimposed magnetic bottle, in which the antiprotons oscillate along the magnetic field lines. Depending on their North-South alignment in the magnetic bottle, the antiprotons will vibrate at two slightly different rates. From these oscillations (combined with nuclear magnetic resonance methods), physicists can determine the magnetic moment. The challenge with this new measurement was developing a technique sensitive to the miniscule differences between antiprotons aligned with the magnetic field versus those anti-aligned. BASE now plans to measure the antiproton magnetic moment using a new trapping technique that should enable a precision at the level of a few parts per billion—that is, a factor of 200 to 800 improvement. Members of the BASE experiment hope that a higher level of precision might provide clues as to why matter flourishes while cosmic antimatter lingers on the brink of extinction. “Every new precision measurement helps us complete the framework and further refine our understanding of antimatter’s relationship with matter,” Ulmer says. In a paper published today in the journal Nature Communications, the BASE collaboration at CERN reports the most precise measurement ever made of the magnetic moment of the antiproton, allowing a fundamental comparison between matter and antimatter. The BASE measurement shows that the magnetic moments of the proton and antiproton are identical, apart from their opposite signs, within the experimental uncertainty of 0.8 parts per million. The result improves the precision of the previous best measurement by the ATRAP collaboration in 2013, also at CERN, by a factor of 6. At the scale of elementary particles, an almost perfect symmetry between matter and antimatter exists. On cosmological scales, however, the amount of matter outweighs that of antimatter. Understanding this profound contradiction demands that physicists compare the fundamental properties of particles and their antiparticles with high precision. BASE uses antiprotons from CERN’s unique antimatter factory, the Antiproton Decelerator (AD), and is designed specifically to perform precision measurements of the antimatter counterparts of normal matter particles. The magnetic moment, which determines how a particle behaves when immersed in a magnetic field, is one of the most studied intrinsic characteristics of a particle. Although different particles have different magnetic behaviour, the magnetic moments of protons and antiprotons are supposed to differ only in their sign as a consequence of so-called charge-parity-time symmetry. Any difference in their magnitudes would challenge the Standard Model of particle physics and would offer a glimpse of new physics. To perform the experiments, the BASE collaboration cools down antiprotons to the extremely low temperature of about 1 degree above absolute zero, and traps them using sophisticated electromagnetic containers so that they do not come into contact with matter and annihilate (thanks to such devices, BASE has recently managed to store a bunch of antiprotons for more than one year). From here, antiprotons are fed one-by-one to further traps where their behaviour under magnetic fields allows researchers to determine their intrinsic magnetic moment. Similar techniques have already been successfully applied in the past to electrons and their antimatter partners, positrons, but antiprotons present a much bigger challenge because their magnetic moments are considerably weaker. The new BASE measurement required a specially designed magnetic “bottle” that is more than 1000 times stronger than that used in electron/positron experiments. BASE now plans to measure the antiproton magnetic moment using a new trapping technique that should enable a precision at the level of a few parts per billion – i.e. a factor of 200 to 800 improvement. “The implementation of this method is much more challenging than the method which was used here and will require several additional iteration steps,” says first author Hiroki Nagahama. Received via email. There is no link. In a paper published today in Nature, the Baryon Antibaryon Symmetry Experiment (BASE1) at CERN’s Antiproton Decelerator (AD), reports the most precise comparison of the charge-to-mass ratio of the proton to that of its antimatter equivalent, the antiproton. The charge-to-mass ratio — an important property of particles — can be measured by observing the oscillation of a particle in a magnetic field. The new result shows no difference between the proton and the antiproton, with a four-fold improvement in the energy resolution compared with previous measurements. The Standard Model of particle physics – the theory that best describes particles and their fundamental interactions – is known to be incomplete, inspiring various searches for “new physics” that goes beyond the model. These include tests that compare the basic characteristics of matter particles with those of their antimatter counterparts. While matter and antimatter particles can differ, for example, in the way they decay (a difference often referred to as violation of CP symmetry), other fundamental properties, such as the absolute value of their electric charges and masses, are predicted to be exactly equal. Any difference – however small — between the charge-to-mass ratio of protons and antiprotons would break a fundamental law known as CPT symmetry. This symmetry reflects well-established properties of space and time and of quantum mechanics, so such a difference would constitute a dramatic challenge not only to the Standard Model, but also to the basic theoretical framework of particle physics. 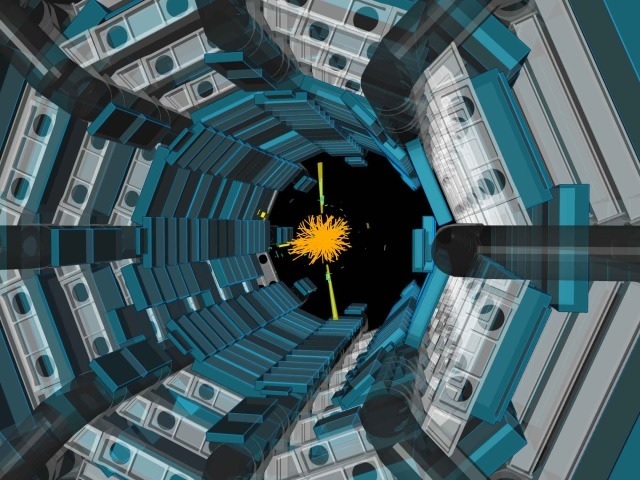 The BASE experiment receives antiprotons from the AD, a unique facility in the world for antimatter research. The H- ions are formed by the antiproton injection. The set-up holds a single antiproton–H- pair at a time in a magnetic Penning trap, decelerating the particles to ultra-low energies. The experiment then measures the cyclotron frequency of the antiproton and the H- ion — a measurement that allows the team to determine the charge-to-mass ratio — and compares the results. BASE was approved in 2013. Using a set-up of multiple Penning traps, its ultimate goal is to measure with very high precision the antiproton’s magnetic moment, another important property of particles. The collaboration has already performed the most precise measurement of the magnetic moment of the proton and will apply the technique next to the antiproton. 1. 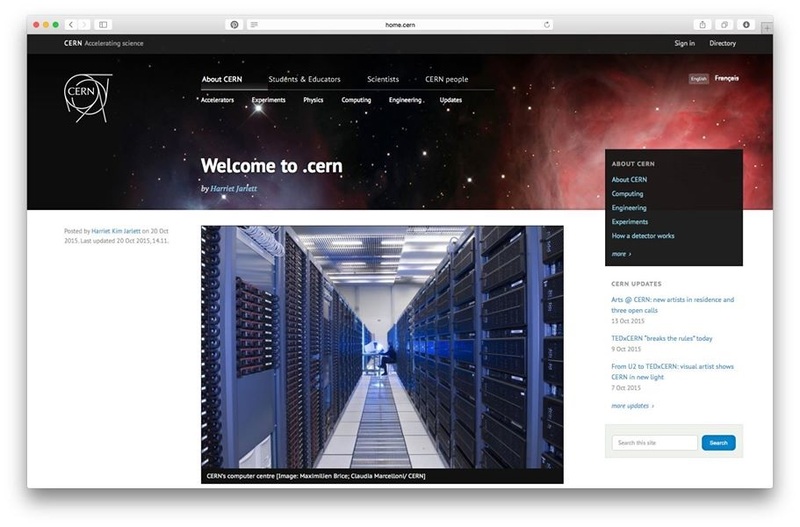 The BASE collaboration consists of researchers from RIKEN, CERN, Max Planck Institute for Nuclear Physics, University of Tokyo, Johannes Gutenberg University of Mainz, GSI Helmholtz Centre for Heavy Ion Research, and Helmholtz Institute Mainz.